Powerful, No-Nonsense Self Defense! We Will Help You Reach Your Professional Safety Goals! Our LEO program is designed by active LE officers for the modern American officers. Our approach is simple 'stop the problem and take safe control as quickly as possible. Officers safety is paramount-before, during and after the confrontation. We deal with compliant, resistive, assaulting/high risk and life-threatening situation. We provide seminars and Customized Courses to meet your agency needs. Our system deals with scenarios where for any numbers of reasons, operators face life-threatening situations when they are unarmed or in which higher force options cannot immediately be accessed. 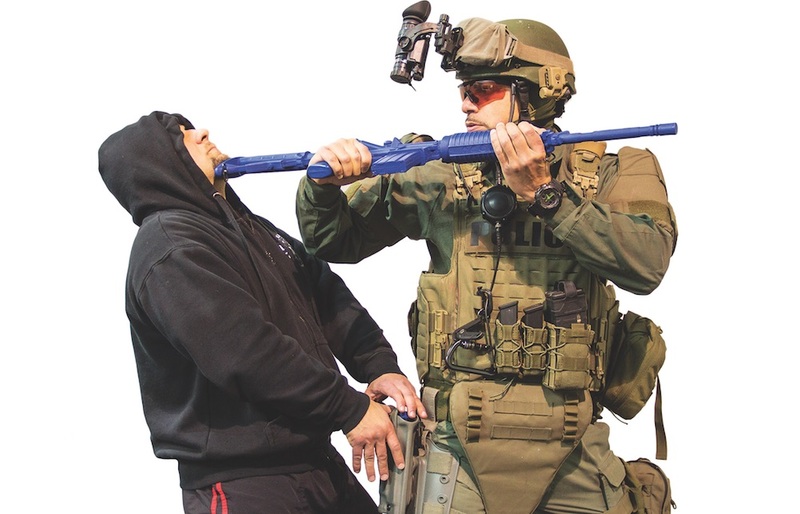 From this perspective the operator must respond with an effective, aggressive, unarmed defensive technique and combative until a transition to a higher force option can be achieved or acquired. The program features both offensive and defensive techniques.